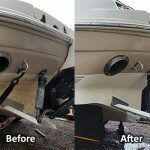 How do I remove the barnacle rings from my fiberglass boat? I left my boat in saltwater too long and ended up with an infestation of barnacles. I have scraped the barnacles off but there remains the residue of the barnacles all over the bottom (17.5ft. Seaswirl). 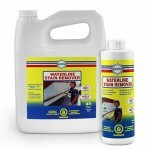 I am assuming that your boat bottom cleaning material will remove the residue, however, my trailer has rollers and I want to make sure the chemicals are safe for the rollers. Also, same questions for your bottom coating. 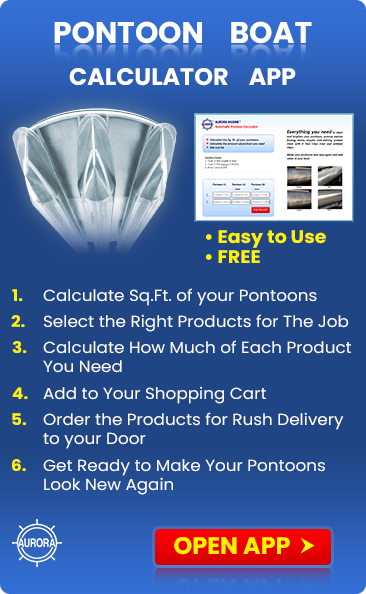 Will your bottom coating material protect the bottom in salt water? 2. You can either use Algae Strip or Green Genie depending on your situation. Please check the IN MORE DETAIL section below. 3. Apply Algae Strip or Green Genie with a paint roller. Alternatively, you can spray with Green Genie. 4. Allow to work for 45 minutes. 5. Scrape the Barnacle Rings off with a plastic or wooden scraper. You have two choices for this job; Industrial Strength Algae Strip and Green Genie. Both will do the same job but Green Genie is easier to work with as it is not fuming and uses salt instead of acid to do the work. Both are environment friendly. The difference is that Green Genie takes a bit longer to work which can be an advantage as the longer you let the chemical soak into the adhesive rings, the easier they will be to remove. The technique is to lift the boat off the trailer ( you can find instructions for doing this at www.auroramarineclub.com > Ask the Skipper > Bottom Cleaning and Protecting > Getting under the Trailer Bunks), protect the trailer with plastic sheets, Apply Algae Strip or Green Genie with a paint roller or Green Genie is safe to spray. Allow to work: 30 minutes for Algae Strip, 45 minutes for Green Genie. This will soften the rings so you can easily scrape them off with a plastic or wooden scraper and rinse clean. These products will not damage the rubber or polyurethane rollers but are corrosive to metal and can damage the paint on your trailer. 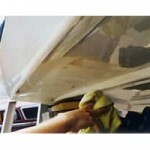 Next deep clean and prep the gelcoat with Boat Scrub and then apply the VS721 bottom coat. VS721 will work in both salt and fresh water providing that you keep the slime off. Bacterial slime is food for algae and barnacles. This is accomplished by using the boat on a regular basis so the water rushing against the hull will keep it off, by getting into the water and wiping it off with a sponge or pulling it up on the trailer from time to time to wipe it down and relaunching. VS721 will also seal the pores in the gelcoat to protect your bottom against Osmosis Blisters or Boat Pox. VS721 makes your boat much easier to maintain. 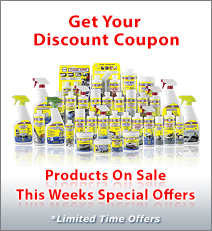 Salt water can easily be rinsed off with a garden hose and other dirt and grime can be easily wiped away. It’s super slippery surface is also proven to increase performance and reduce fuel consumption.